From Desolation Sound, British Columbia. Jackie and I found each other ok at Vancouver airport and the flight across to where we were to pick up our ship was quick and efficient, the cab driver who took us from the little airport into our motel pleasant and helpful, and the motel itself (the “Port Augusta” conveniently close to both a very nice restaurant and the charter companies office at the local marina. The crew at the charter company are wonderful, a this is a friendly and efficient outfit, 10/10, highly recommended! It was a very rough trip across from the Charter base at Comox on Vancouver Island, waves up to about 3 ft high, but very close together. I’d slowed the ship down to about three knots rather than just bashing on and was trying to steer into the worst then bear away and run across in the calmer patches but our ship is not as nimble as I am used to, so we got bounced around a fair bit. Uncomfortable but there was no risk. 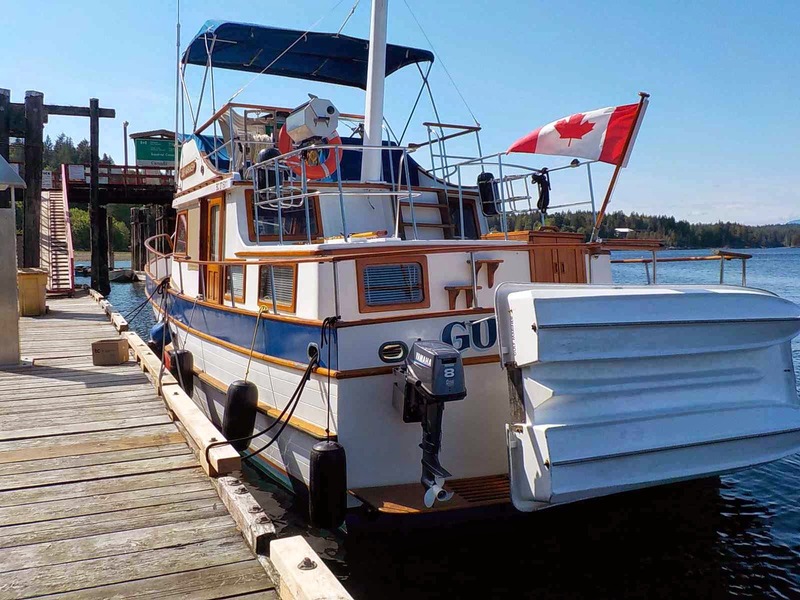 “Gulf Mariner” is pretty capable, she’s a “Mariner 40”, a fairly typical “Trawler” type cruising motorboat, comfortable and roomy, well appointed and Desolation Sound charters do a good job in terms of maintaining the boat, ensuring that I was properly briefed, shown all of the systems and where all the equipment is. Navigation in this maze of channels is no so easy for a first timer here, its very easy to get lost and I have to admit to having been a couple of miles out when looking for the anchorage that we’d planned to spend our first night in, but serendipity found us a perfect spot and we didn't move for two days. “Roscoe Bay” is a long narrow groove, cut by glaciers millennia ago. The entrance is very narrow and is only accessible from mid tide upwards. Inside there is a pool wide enough to anchor in perfect shelter. The steep rocky sides of the pool are covered in spruce, what I think are hemlock, and a few douglas fir. The area would have been logged in the early 1900s so the regrowth is quite tall, almost mature forest and its lovely to walk the many trails that run through it. We’ve a small lake only a few hundred yards up what was a logging road alongside the small outlet stream from that lake, and once there the warm fresh water was so inviting that we were in swimming within minutes of arriving there. 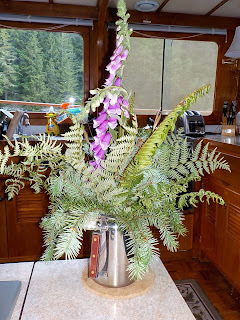 Waterlilies, foxgloves, several berry vines with the remains of the spring flowers add colour, some of which have found their way onto the dining table in the main cabin here. There are deer around and they appear not at all fazed by our walking past. Compared to our New Zealand forests these are quiet, not a lot of birdsong, but peaceful. 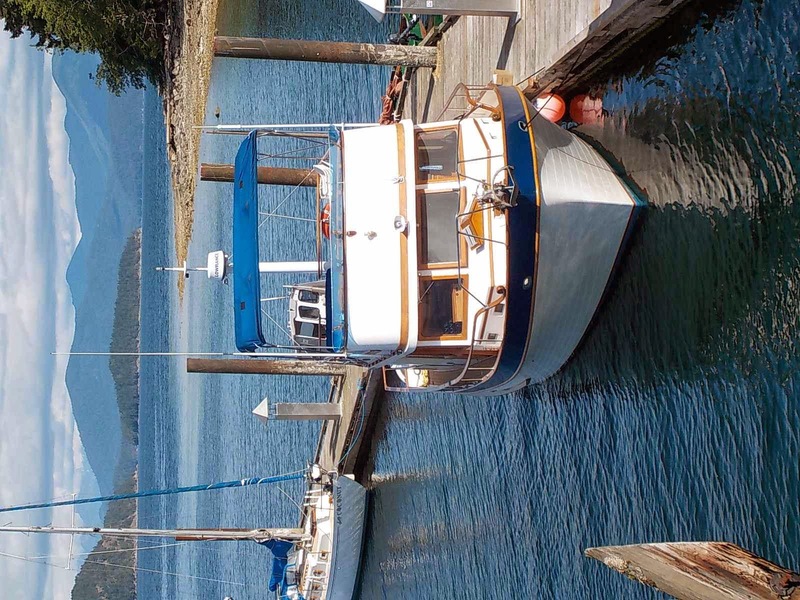 Its been perfect, but today we’re moving around to Squirrel Cove, will do a run ashore to the store there for a few bits and pieces plus wifi to email and post this to the blog, and then will head out to our next overnight stop. The store here has to be seen, great place with lovely people. I’m more familiar with the gps upstairs now, so don’t expect to get lost again, but in this amazing place, who cares if we do. RAID Dates and other news. Time to book leave from work, family or any other excuses for not coming along. 29 January to 6 February. Raid to be run in the area between Kawau Island and Shakespears Bay in the regional park on the south side of Whangaparoa Peninsula. Note that the last two days are sailing from the one campsite and are in conjunction with the St Ayles Skiff regatta that will be run there. The event also takes in the amazing Mahurangi Regatta, the best (Ok you Rotoiti people, its arguable) small and trad boat event on the calendar. The event does not involve huge distances, it will suit kayakers, and anything from about 3.5m upward to 6m in size, there are limited places so book as soon as you see here that bookings are being accepted. I’m bringing my ship as “mothership” by the way, I’ve a big lump of cast iron under the main saloon floor that will tow the whole fleet if needed, and have space on board for a pretty good party. Think about it. No, don’t think, be there! See you on January 29th! Travel to British Columbia and the charter trip. I’ve one more sleep before I make the walk across to the main road to catch the bus into the city and then the airport express out to where the big silver birds perch. Not long to go now, I’m very much looking forward to this. Last year I had the pleasure of a trip out on a big whale watch boat from Telegraph cove on Vancouver Island, we got into the edges of the Broughton Islands Provincial Park which gave me some insight as to the amazing scenery and conditions in the area. I can see why my friend James McMullen gets all wide eyed when he talks about that area, he has cruised it in his lovely double ended open sail and oar boat, and although we’ll be a little further south on this trip, and in our little ship will have a few more luxuries ( hot showers!) Jackie and I are very much looking forward to the experience. Saturday Night Special and SEI Plans. I’ve just sent off the plans for Saturday Night Special to Chuck Leinweber, and the SEI Plans to John Owens. Emailed of course, I made the run down to Hamilton to fix some damage that high winds had caused to the car shed that I’m building for Denny so took the opportunity to drop the plans sets into my friends at Cambridge Graphics and Print. Angela and Paula are great, lovely friendly people who give me the best of service. Paula scanned the big plans sheets and had them in my email inbox before I got back home again. So Chuck will be talking to his “volunteers” for building the SNS fleet. It’s a simple boat to build, should be huge fun to sail, and this is a very worthwhile project. The plans still have a little more detail to add and the building guide will probably be written while I’m away. But we will be offering plans free to anyone wanting to build for the fleet, and after the deadline for the 2016 Texas 200 the plans will go on general sale. Builders need not commit to a full boat, someone building a rudder, or a frame, or spars, is making a worthwhile contribution. Please think about it, components can be shipped to a builder who will put them all together. If you are interested in participating, either as a builder or a sailor, please contact Chuck at Duckworks. SEI. With J O Boatworks we’re going to be offering kitsets, frames and stems or a complete plywood components kit . Duckworks will have a rigging and fittings kit including sail. 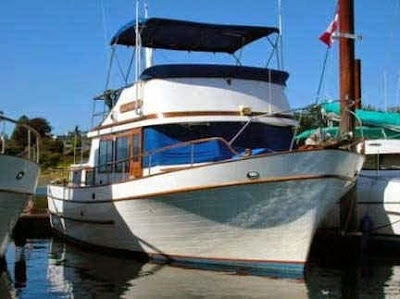 This is a nice easy build and the boat looks almost a million dollars, perhaps about $850 thou, that’s a very nice result for not a lot of work. I expect both of these plans to be available a couple of weeks after I get back home. I just noticed, this is post number 100 in this blog, who'd a thunk it! Thanks all who follow and read. The next post on this blog will be from 8000 miles north of here. Adventures do happen if you let them. I was surprised to be asked. Complimented too, you've no idea. I’ve a trip coming up, I’m to skipper a charter motor cruiser in Desolation Sound, British Columbia for a 10 day charter with a friend who does not have the qualys to drive same. Living on board in the small space that the boat offers will mean we get to know each other pretty well but that should be a very good thing. We’re looking forward to a really great adventure, the area has amazing scenery, the boat is comfortable and roomy, we’ve time to do some exploring and if the weather does not co operate we can just sit in a sheltered inlet and relax. Heres our ship, 40 ft, single engine about the same size and power of my own ship so she should be easy to learn. So in five more sleeps (this is better than waiting for Santa when you’re 7 years old) I’m on the bus, then the plane direct to Vancouver from Auckland. 11 ½ hours in the air, this is becoming regular so I’m getting used to flying long distances, still don’t like it but I can tolerate it. I’ve bought an e reader so I don’t have to carry a couple of kilograms of books to keep me from going mad trapped in that big aluminium tube in the sky. I know most of the guys in the video clip, the serious looking dude with the suitcase handcuffed to him is SCA Magazines Josh Colvin. This is a wonderful event, I wish I wish I wish I could be on the start line, even a SCAMP would do. It’s to be run every second year, so maybe?????? What am I saying, "Even a SCAMP? " Actually a SCAMP might not be the fastest thing in the race but you could do a lot worse for comfort and seaworthiness, I gather that there is one entered to do just leg one across from Port Townsend to Victoria, in itself no mean voyage in a little boat. In the meantime I’m busy completing the plans for “Saturday Night Special” a 14 ft fairly quick and dirty fast sailing skiff designed for the Texas 200. The original intention was to have a group in New Zealand build themselves frames, transom and stem, rudder and centreboard and put them into a mountain bike air travel bag, arrive in Texas, buy plywood and epoxy etc, team up and using paper patterns build their two person boats in a week or so, ( rough is expected) sail them and either do an Andrew Linn ( in joke, I’ll explain it if you really want) or sell, give away or whatever and fly home. The costs of shipping a boat from New Zealand was prohibitive, hence the thinking. A proof of concept boat was built, it sails pretty well, the owner was complaining that he could not quite hold a Laser upwind, but that was with the T200 rig intended for very brisk winds, and the boat very much untuned so its reasonably capable. Chuck had the idea of getting a group of volunteers to build maybe half a dozen of these, and offer the use of them in return for donations to Cancer research. The fleet has the potential to work well at other events as well, Sail Oklahoma, Everglades challenge, Florida 120 and so on as well as at messabouts, so I’ve reviewed the structures, put a swinging centreboard in, gone up a little in size so she can be built just under the 14 ft limit above which Texas law will require the boats to be registered, and drawn up a proper set of plans. With careful selection of cheap plywood and buying fittings at good prices, ( you know where to get those eh! The plans show all the fittings designations for Duckworks fittings and they'll have a package deal price) and one of Polytarp Daves sails you could do one of these for maybe $1500. A lot of boat for not a lot of pain. For the sharp of eyes, the boat can be built at 13 ft 10, or 14 ft 8. Also note that the boat will suit the larger of the RSS Sails that Duckworksmagazine offer at VERY good prices. I hope to have these done before I leave, so need to be getting on with it rather than sitting here “talking “ to you people. Anyone wanting to build, even just a frame or a centercase, or to use one in the event contact Chuck at the website above. Its a worthy cause, we've all of us lost too many friends to this disease. Its an interesting project, the boats are simple, easy to build, cheap, no frills and by the standards of the trad small boat world really quick. Here’s the link to the T200 website, it’s a 5 day bash up the ICW from down not far from Mexico to up near Houston, the prevailing wind is a screaming stern quarter tailwind and the water generally shallow and warm. The plans will be available, and anyone building one for their own use could add frills if wanted, but these ones will be bare essentials. I’m scheduled to share one with Small Craft Advisor Magazine editor Josh Colvin www.smallcraftadvisor.com/ on the 2016 Texas 200. I’m sure that there are cures for this form of insanity but no one seems to have found it yet. Progress, plus a very ambitious voyage. I’m home again, the little ship here on the river really does feel like home. Waking in the morning to look out from my bunk and watch the light gradually come into the sky, the stars fade and the reflections on the rivers mirror waters come to life is very special. The stresses of the world don’t really find their way down here, it’s a very peaceful refuge from the rat race that so drives us all. So I’ve been working on SEI this morning, put the very first lick of paint on her, well not quite on the boat but at least I now have two coats of high build primer on the daggerboard, , one more and it will be time to sand it off smooth and start the enamel finish coat. The daggerboard, three layers of 9mm plywood, thats a bit over an inch thick for the metrically unfamiliar. The plywood I used is odd, does not sand smoothly but leaves a hairy surface so I'm filling it with a high build primer, will warm it in the sun to harden the paint off then sand it again to get a nice smooth finish. In my bag when I got here I had a little parcel from www.duckworksmagazine.com. It had rudder fittings, a bow towing eye ( U bolt) and a heap of little medium duty eye straps. These will be bolted to the mast box to take the turning pulleys which will lead the halyard and downhaul back to the centrecase where I can get to them without having to go forward. The rudder fittings are rather special, double enders not having a flat transom to fasten to means most rudder fittings wont work unless a big block of wood is shaped and fitted for each, and that’s both cumbersome and unsightly. These though have the transom part oriented vertically so with a little block on each to make a narrow vertical straight base for them they fit beautifully. The forked rudder stock fittings are wide enough to have a decently strong rudder and stock, and the pins being separate with split rings to secure them make fitting them to the curved stern stem easier than otherwise. Nice fittings. The rudder fittings just slid loose onto the stock, a little work to do to get them in just the right place as that stock has internal rope ways built in for lifting the rudder blade up and down. Heres a pic of the towing eye being fitted to the bow, another Duckworks fitting, that little box was like Christmastime , who needs a tree with sparkly lights, I'd rather admire the reflection in the shiny stainless steel. This one is the longer of the two "here"
A while back a charity organisation in Ireland bought some Joansa plans, had ideas of doing some youth training and teaching boat handling. Their ambitions have grown, the boats are working well and they’ve decided to do a marathon row right around Ireland and Eire, that’s about 1000 sea miles that they have to cover, if they can maintain 4 knots, that’s ( counts on fingers, shoes off so can go past 10,) 250 hours pulling hard. Possibly twice that with slower speeds, harbour entrances and headlands to contend with. 500 hours rowing, 2 months at least. Blisters! No wonder the Vikings were tough. Well done guys, I wish you all the very best. Last summerI made a half hearted attempt to organise a group of friends to go cruising in small boats, researched the area, campsites, routes and courses, pickups and parking for the vehicles and so on. But several people were not going to be around on the best dates, I had other committments and it just gradually petered out. The idea still persisted though and it was with great pleasure that I met up with a couple of guys at a small boat gathering a month or two ago, and they were thinking along the same lines. We had a good talk about it all, and they've got together with others and its "on" for next summer. I've offered my ship as mothership, or if they're not needing that will be along in one or other of my small boats, and am very much looking forward to participating and meeting all the people. There is a group coming over from Tasmania, that makes it an "international" event in its first year, "Way to Go!"